This totally new innovative design has been developed for 3 years to reduce at the maximum the weight of the car keeping the 1/8 scale size and durability . We have continuously improved the performances of the platform to be able to use a lighter electronic system: smaller esc, smaller motor and lighter battery. 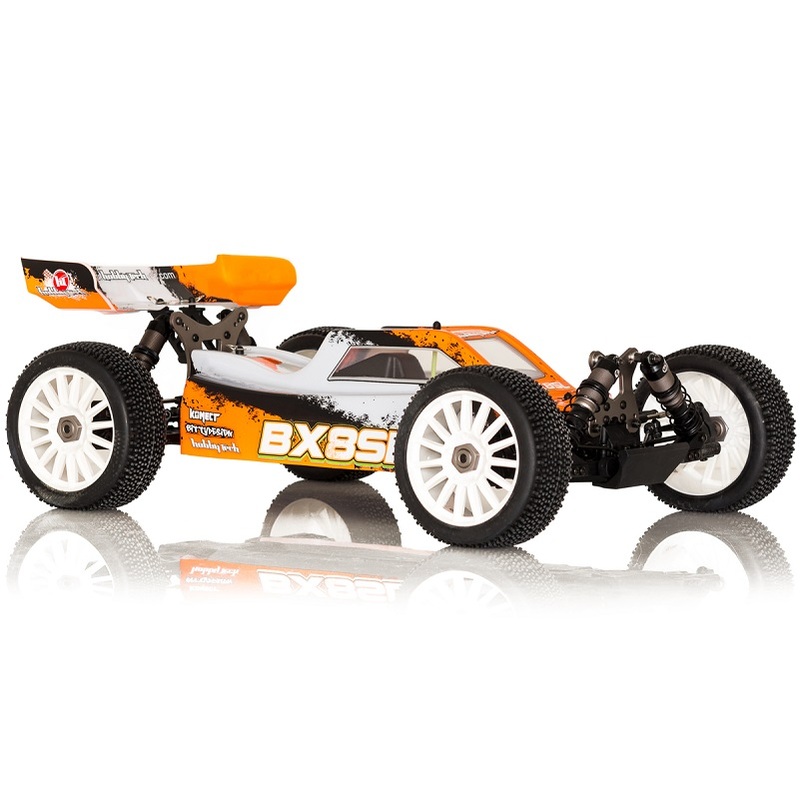 We save more than 1kg compared to a standard 1/8 buggy size equipped with electronic components. With its 3660 size brushless motor and 2 or 3S battery, the sensation on the track is similar than a standard racing buggy with a very important cost saving, a price less than £300 for an RTR car (* requires Lipo 2S or 3S and battery). This is just the future !